Gold Cup-winning jockey Paul Townend notched up a century of winners for the season, after guiding the Willie Mullins-trained Annamix home to a first success at Clonmel on Tuesday afternoon. The six-year-old did not prove overly competent on the way round, but thanks to Townend's urgings, he managed to get the job done in the infamous colours of Rich and Susannah Ricci. Formerly an ante-post favourite for the Supreme Novices’ Hurdle, the grey did not fulfil his entry at Cheltenham after failing to justify short odds on his stable debut at Limerick over Christmas. He was again sent off the 4/6 favourite in the Goatenbridge Maiden Hurdle, with Raya Time next best at 9/4, and the two were clearly in a different division to the rest - finishing twenty lengths in front of the eventual third Owenacurra Lass. It was ironic that Raya Time was ridden by Townend's closest pursuer in the Irish Jockey's Championship - Rachael Blackmore, and it was a fascinating tussle towards the finish as the two locked horns once again. Townend - who leads Blackmore by seventeen in the title race, got the better of Blackmore, and reflected on his personal achievements. (Credit: At The Races) He said: “We’ve been flying since the start of the summer, and long may it last. His trainer Willie Mullins was also full of praise for one of his top stable jockeys. 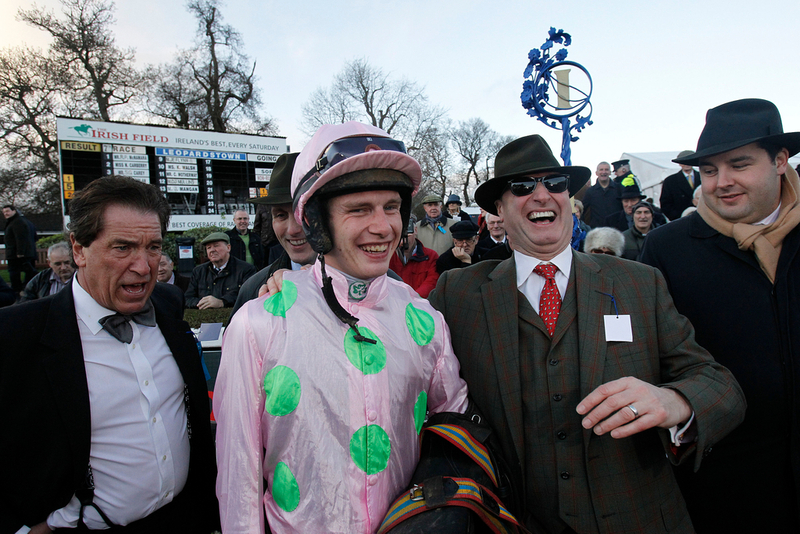 (Credit: At The Races) Mullins said: “It is a wonderful performance by Paul – and I hope he will add a few more before the end of the season. Mullins also spoke of the winning horse, and said: “I didn’t think I’d be going to Clonmel to break that fella’s (Annamix) duck, and we’ll look at a race wherever we can find one before the end of the season. “He has been long enough trying to win a maiden hurdle, and hopefully now we will get him over fences," he said. Townend and Mullins combined once again, when completing a double later on with Acapella Bourgeois in the Suir Valley Chase. The nine-year-old got the better of high-profile stablemate and dual Festival winner Yorkhill – who finished a good, but tired second on his return from a 290 day absence.